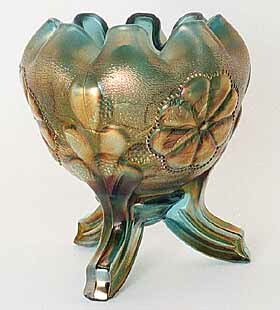 Daisy and Plume is found in two versions; the three footed as shown on the left, and the stemmed as shown on the right. 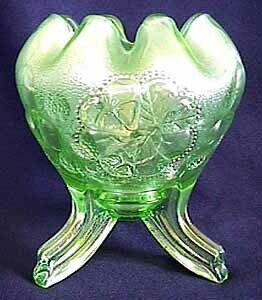 The three-footed version may have a plain interior, a rayed interior, or a berry interior; the stemmed a plain or fern-type interior. 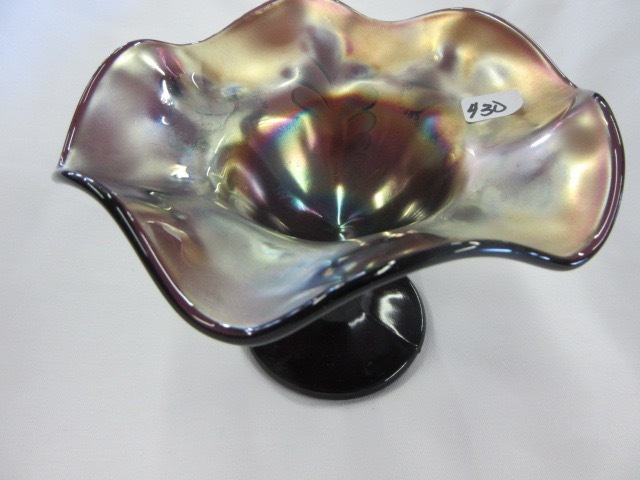 The berry interior pieces are more desirable than the others. 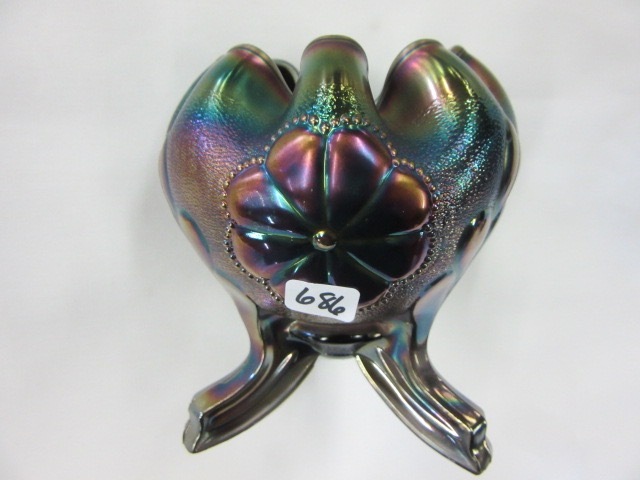 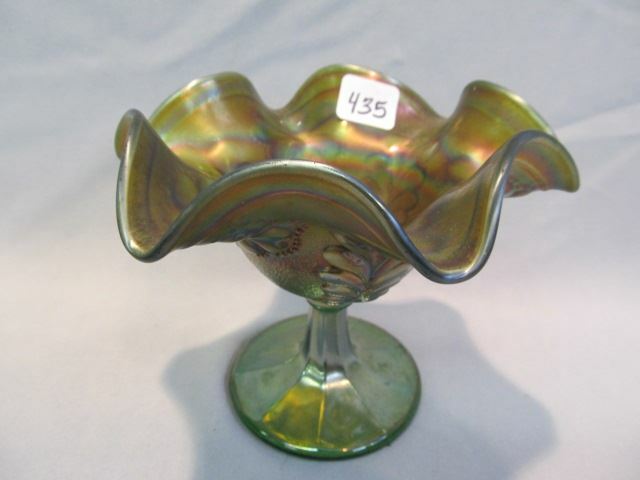 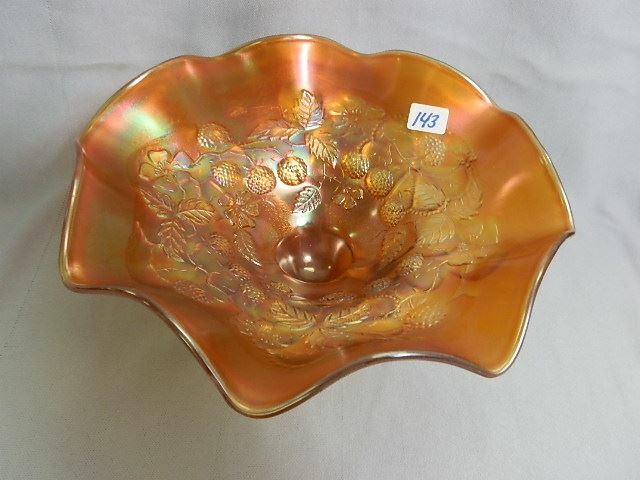 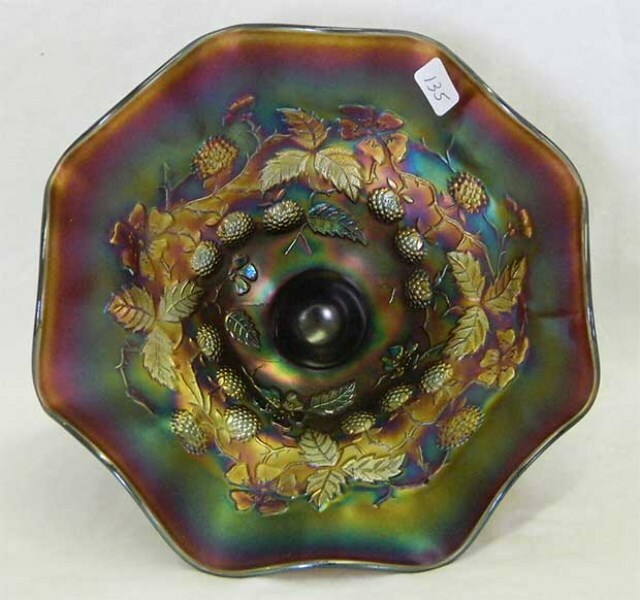 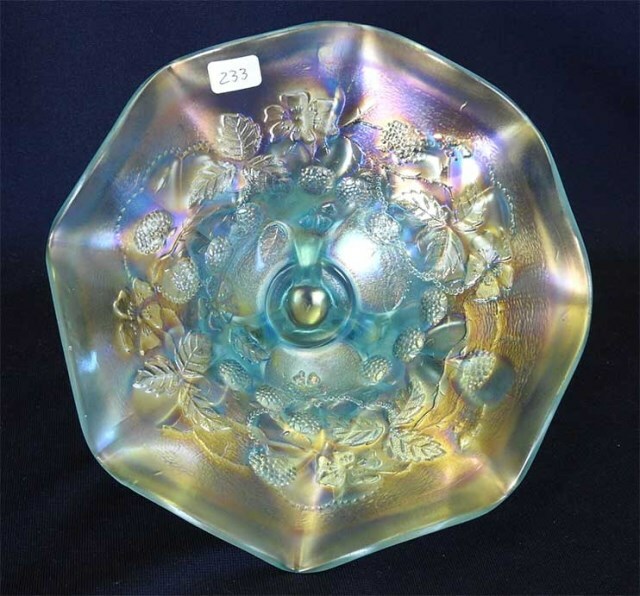 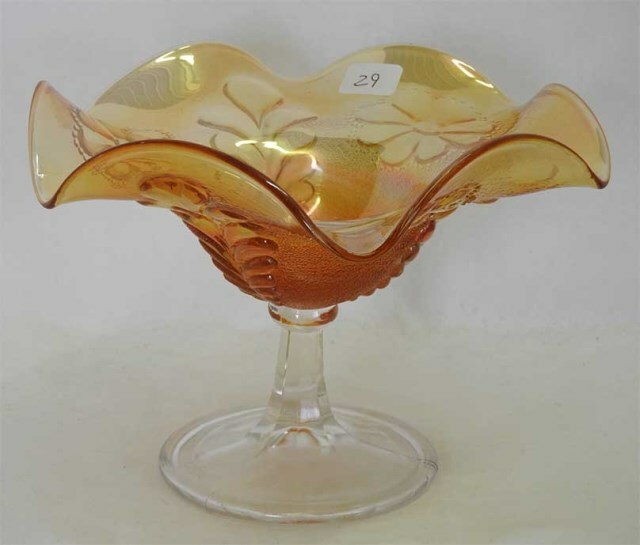 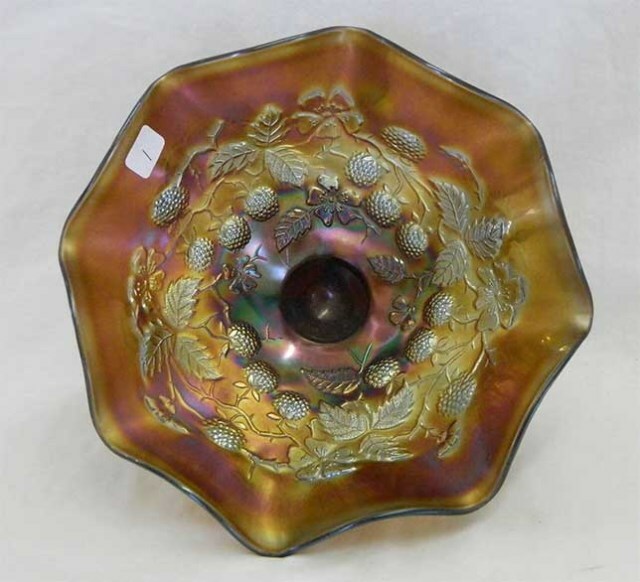 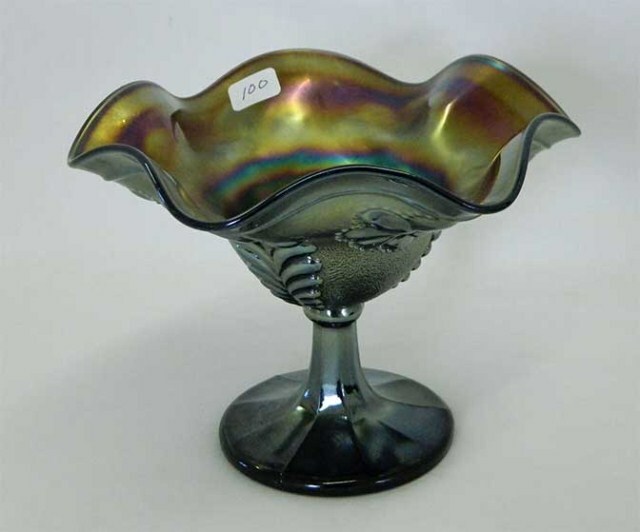 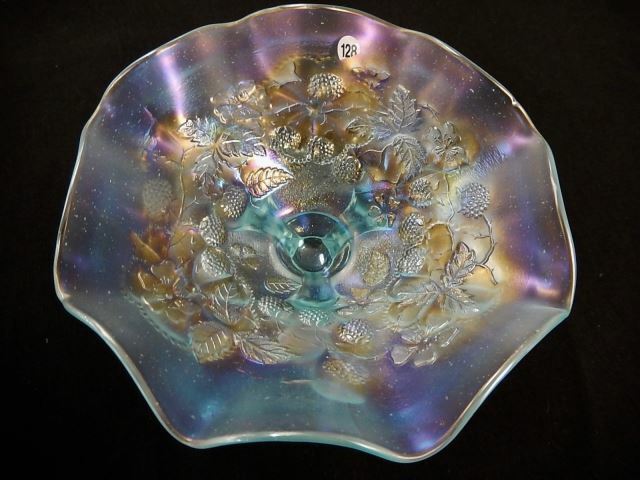 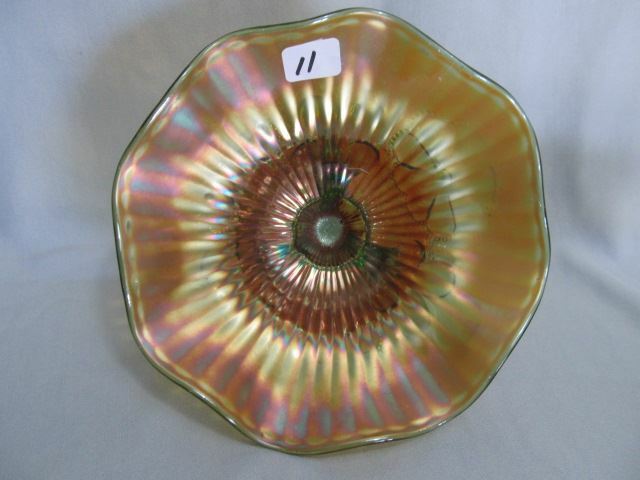 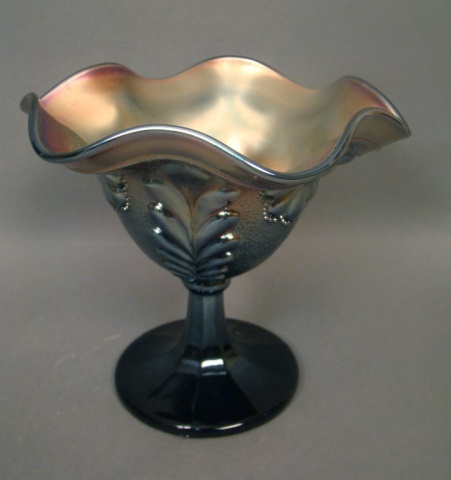 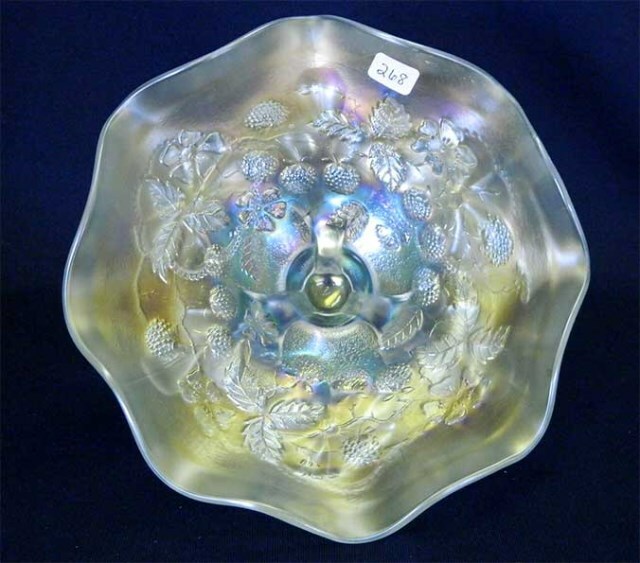 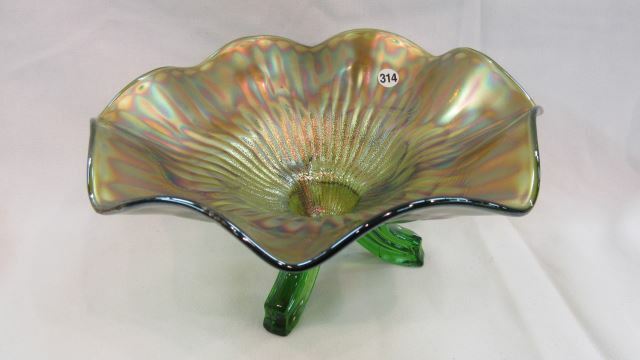 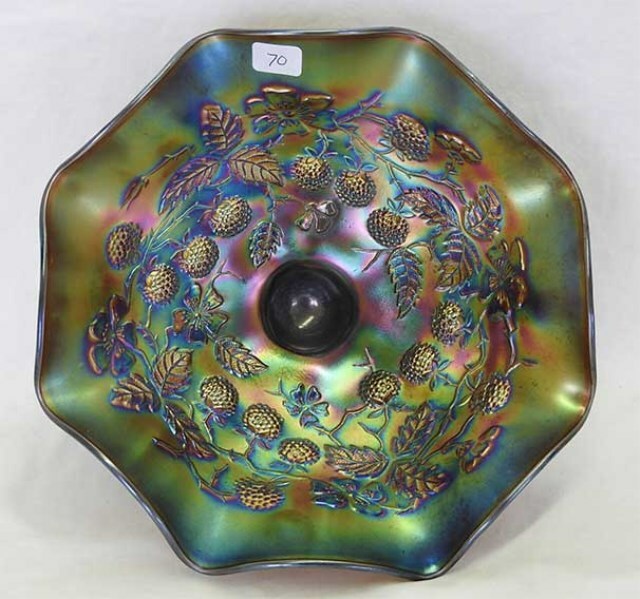 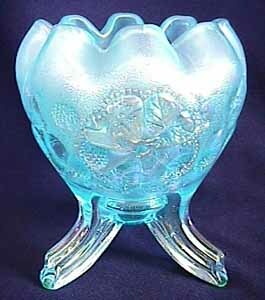 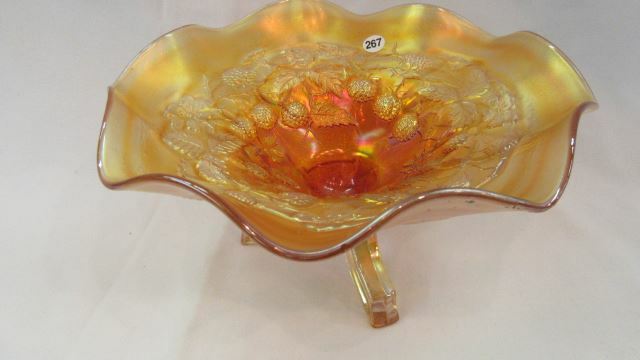 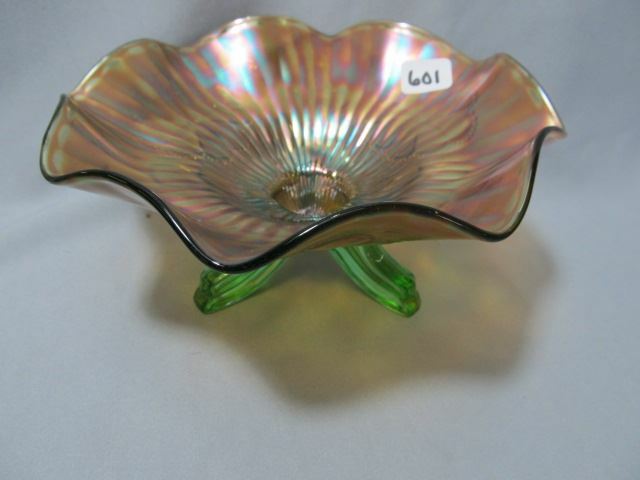 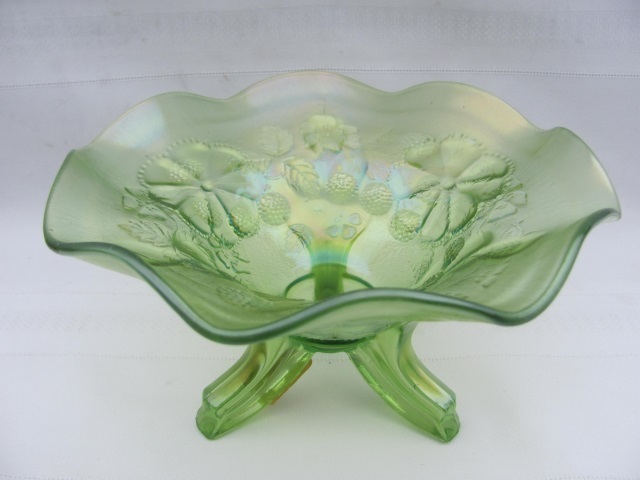 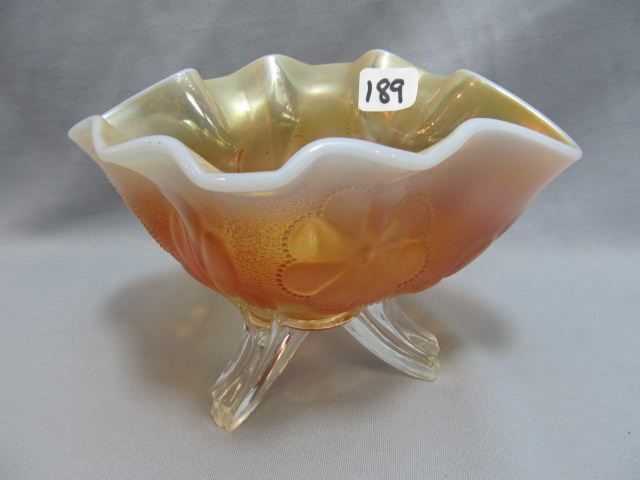 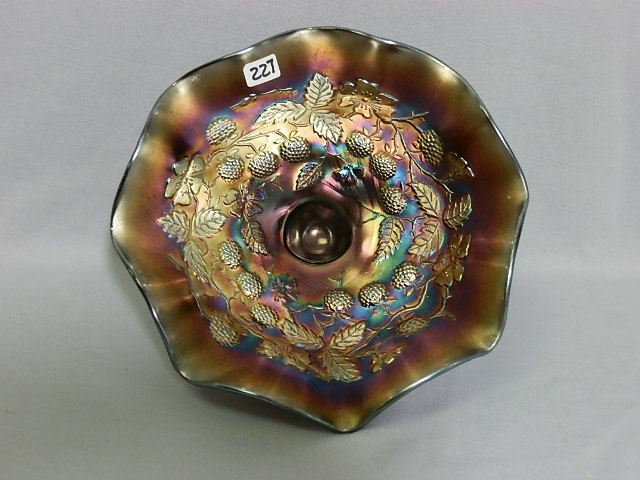 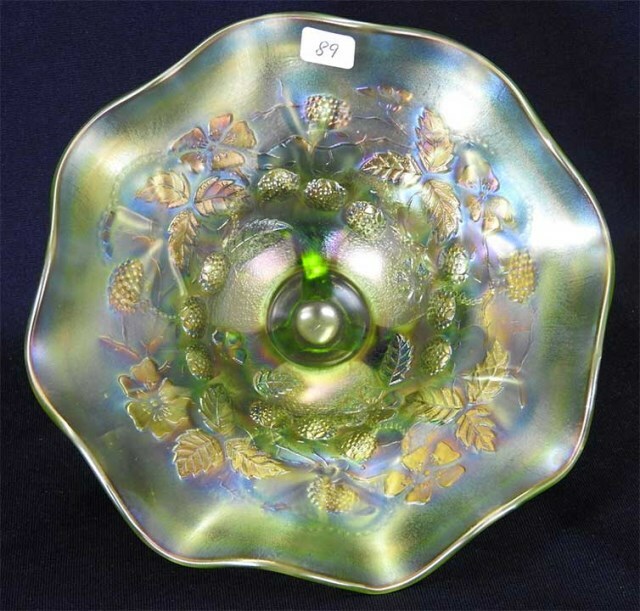 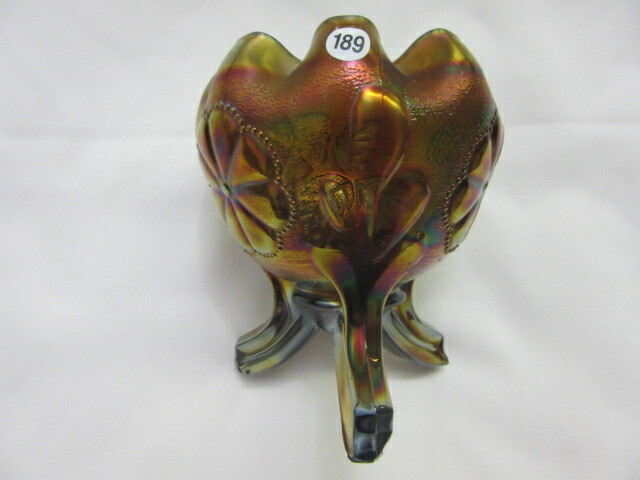 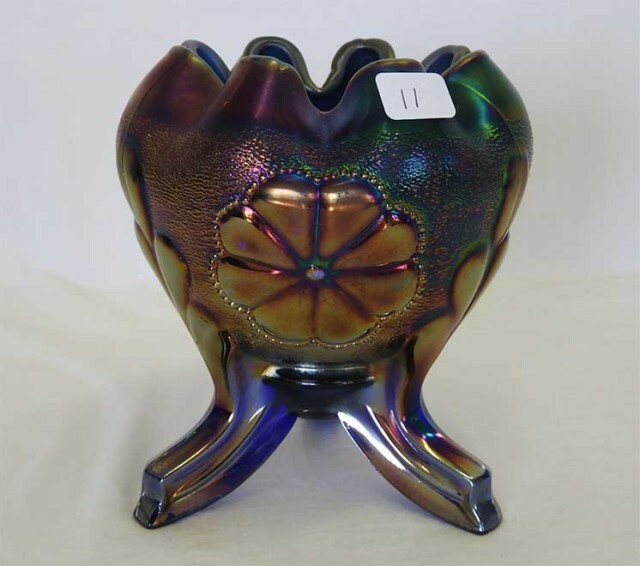 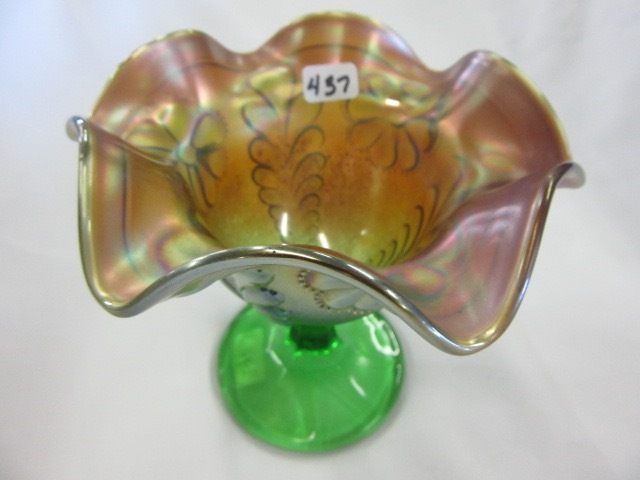 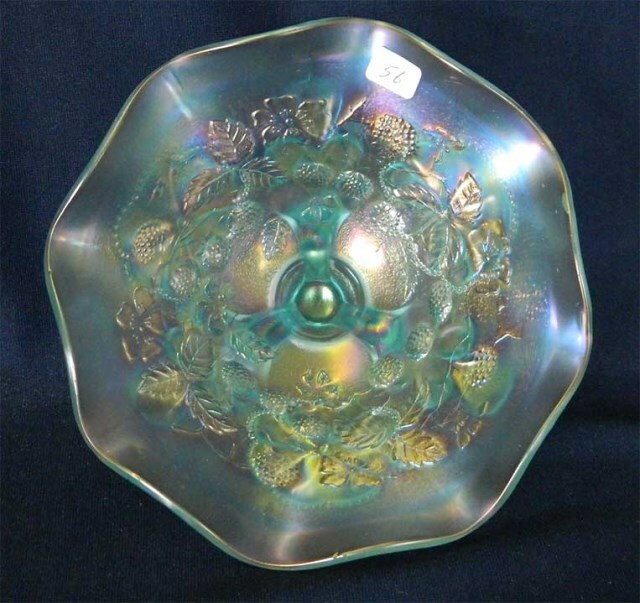 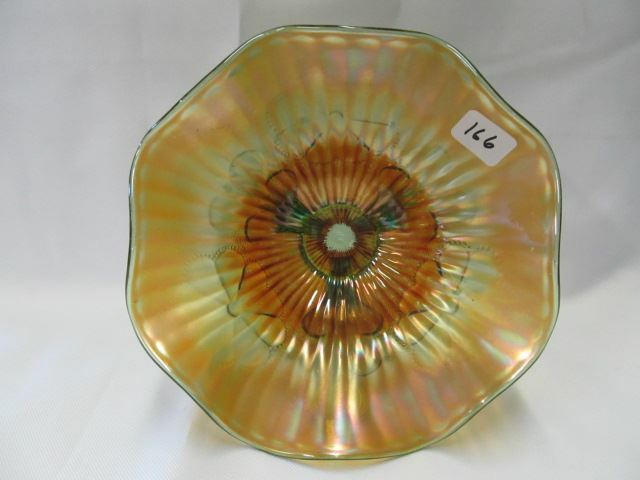 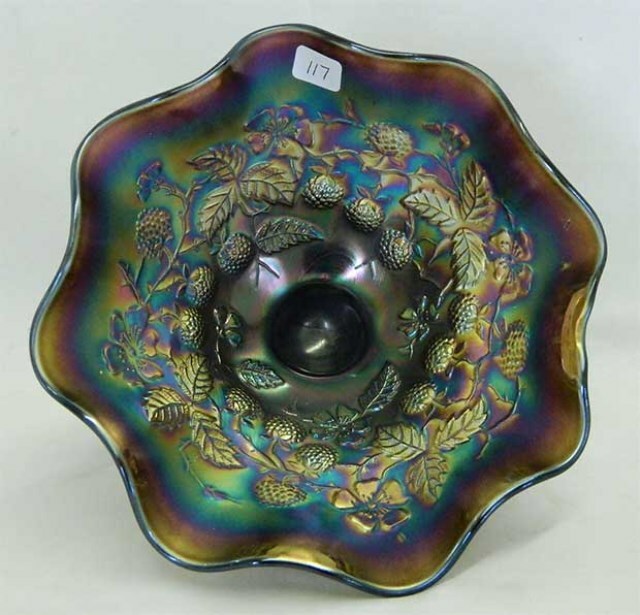 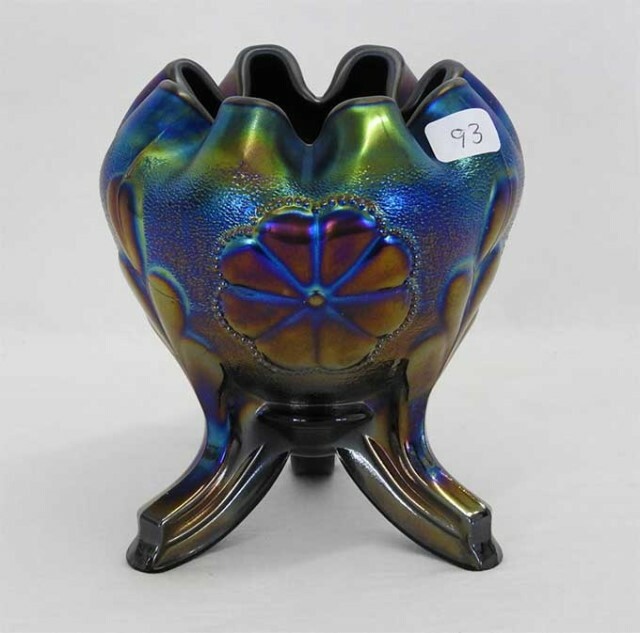 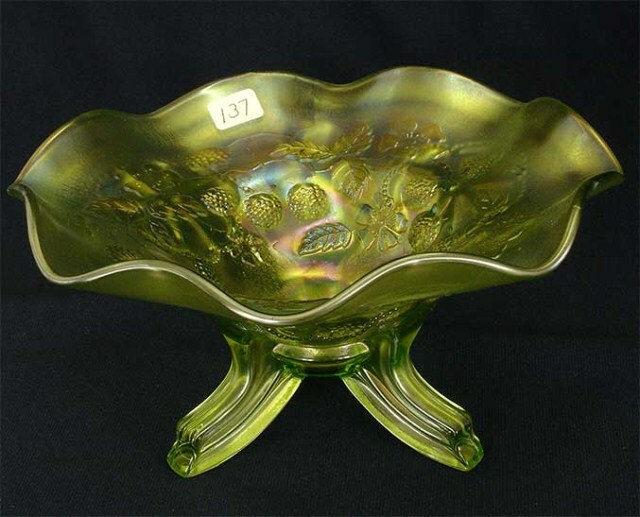 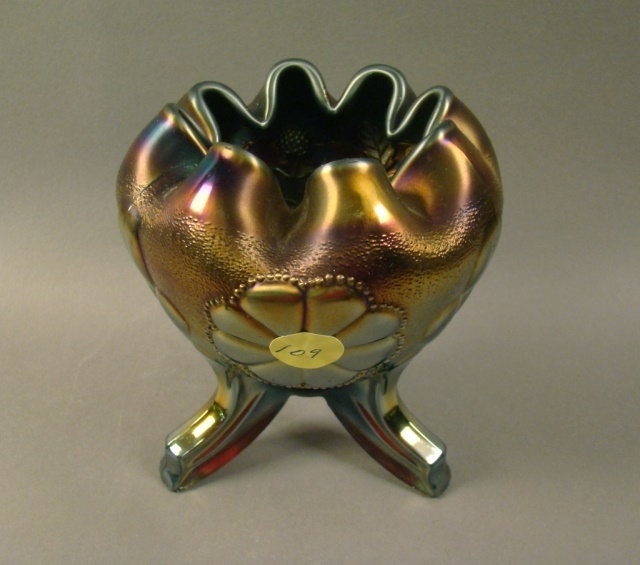 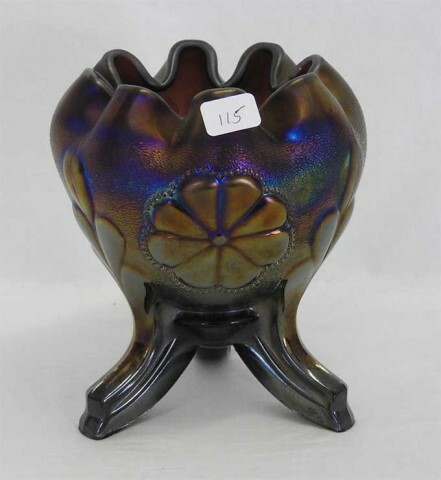 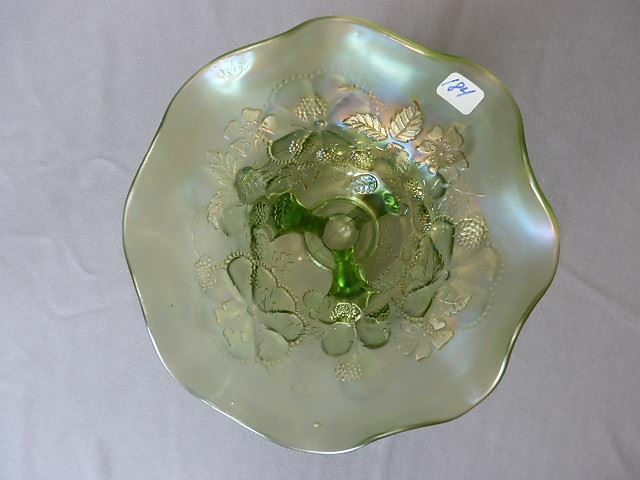 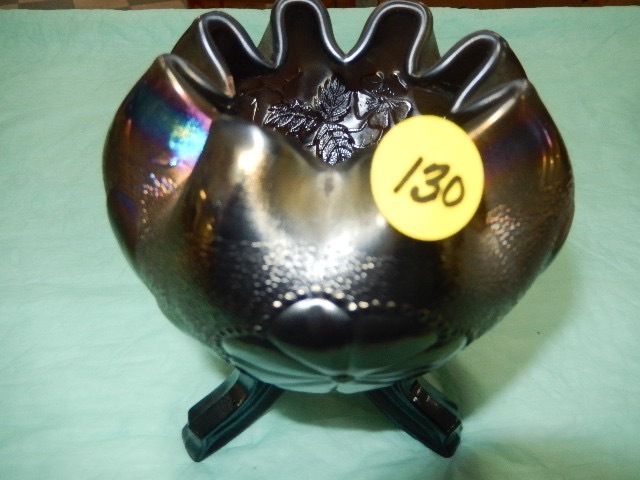 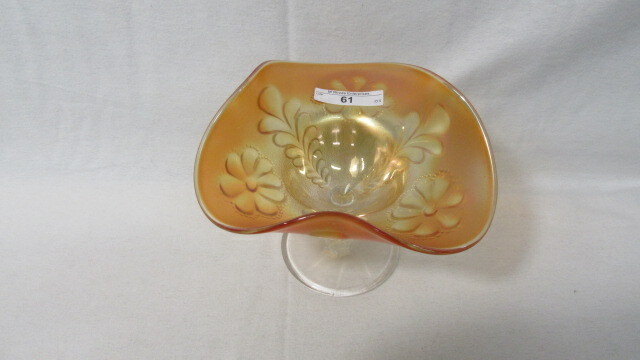 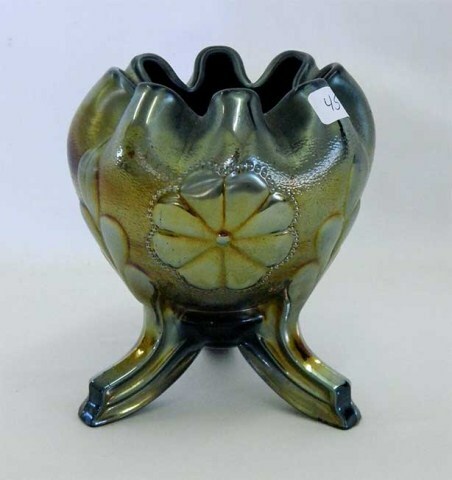 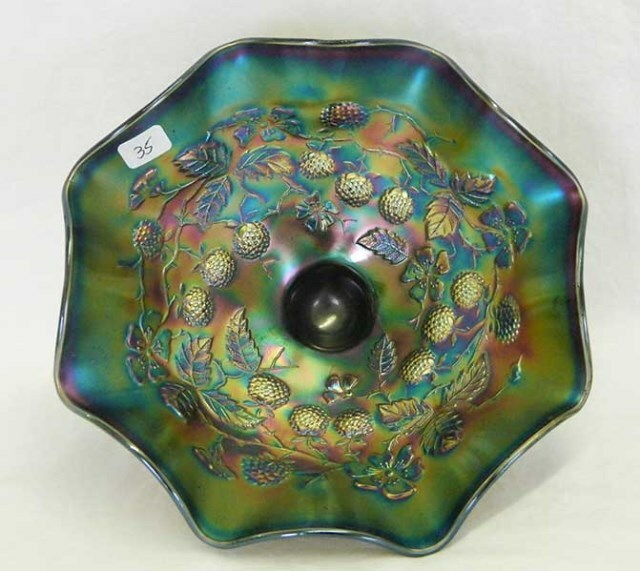 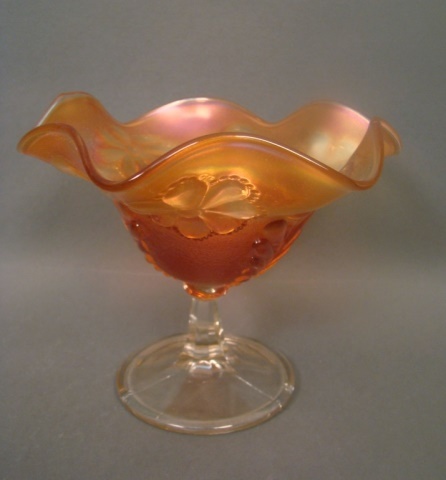 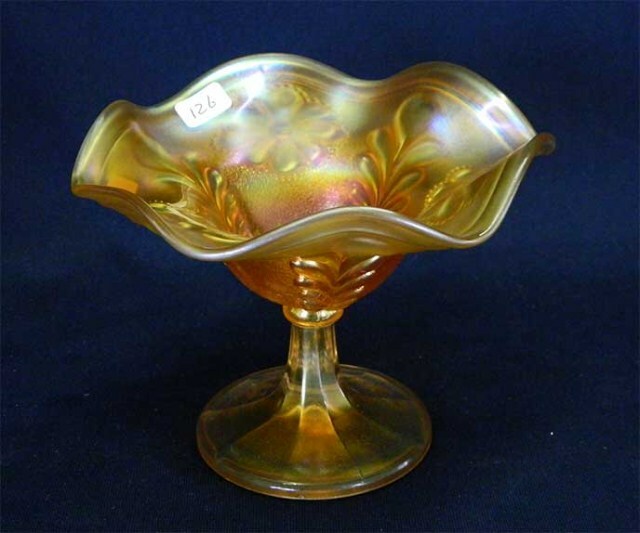 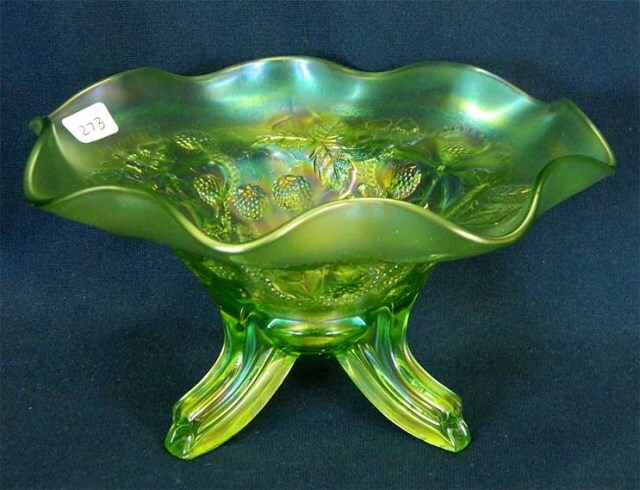 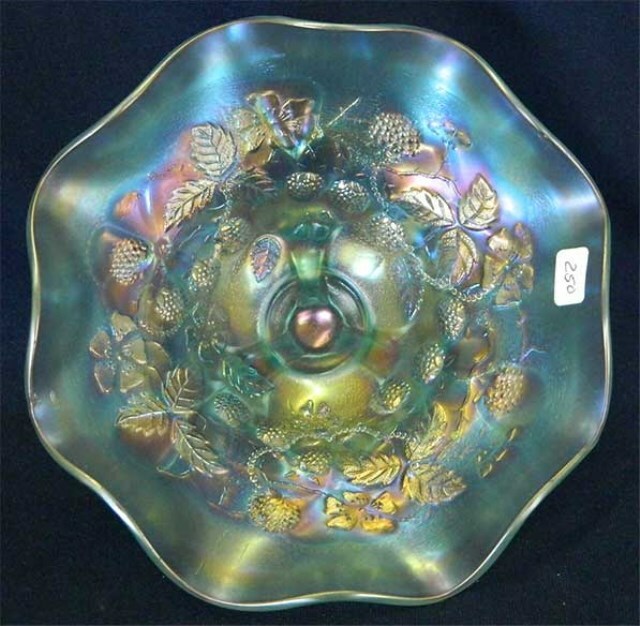 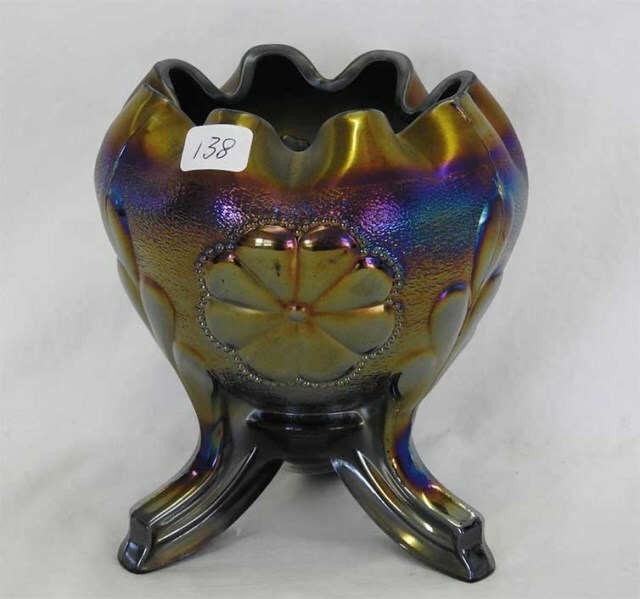 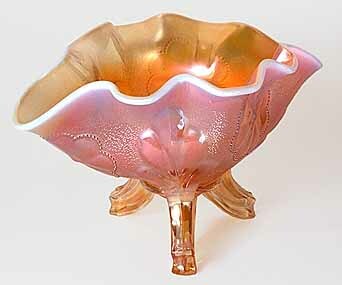 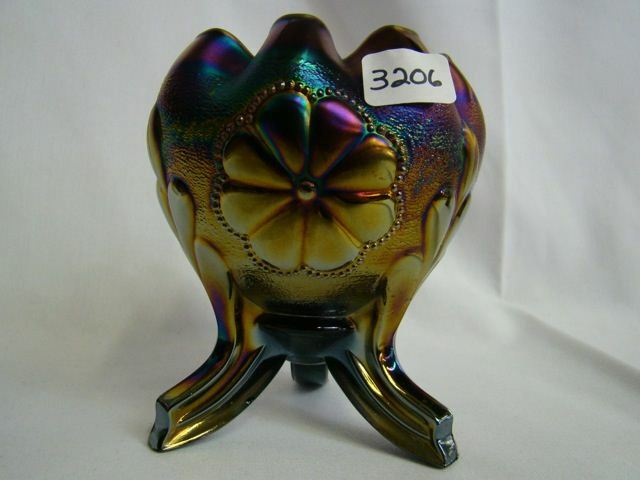 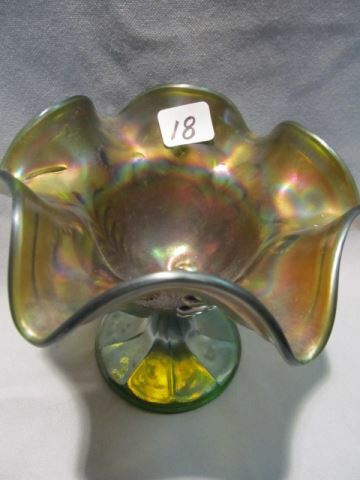 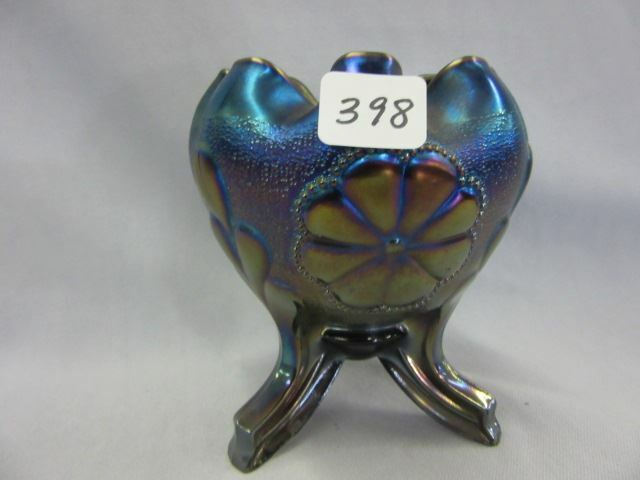 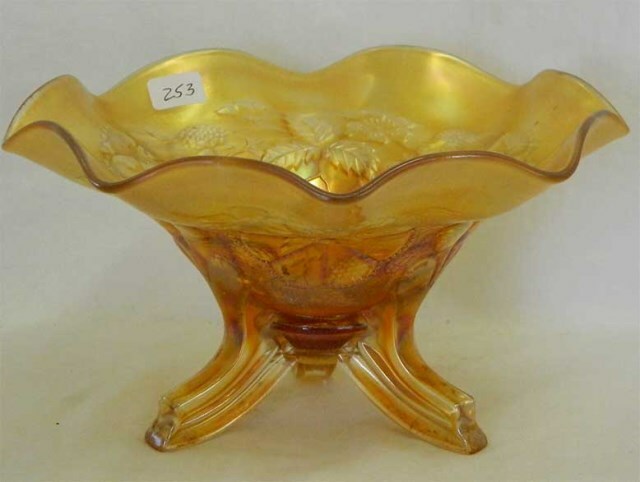 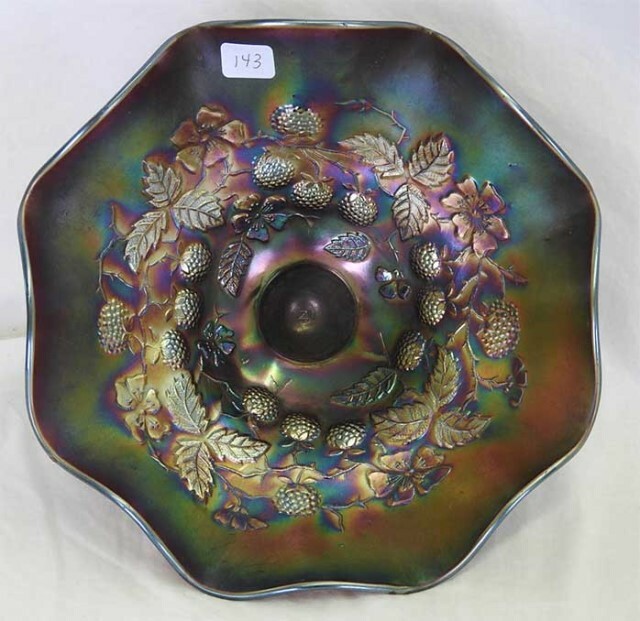 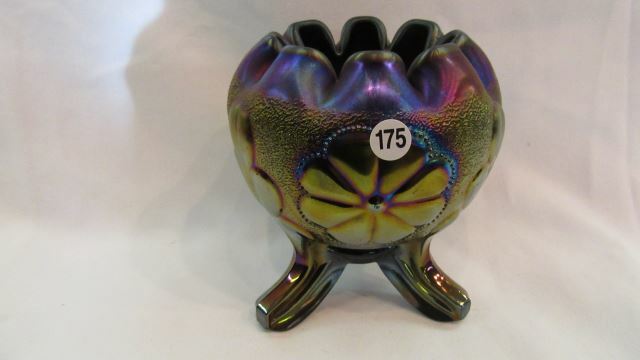 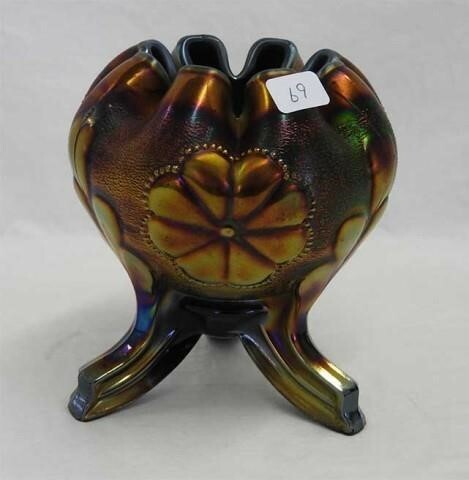 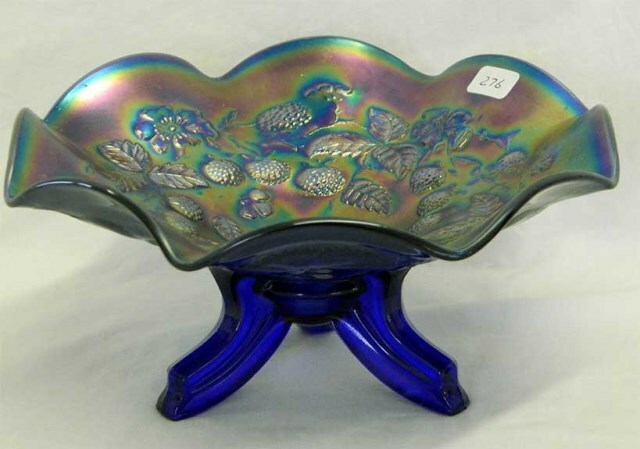 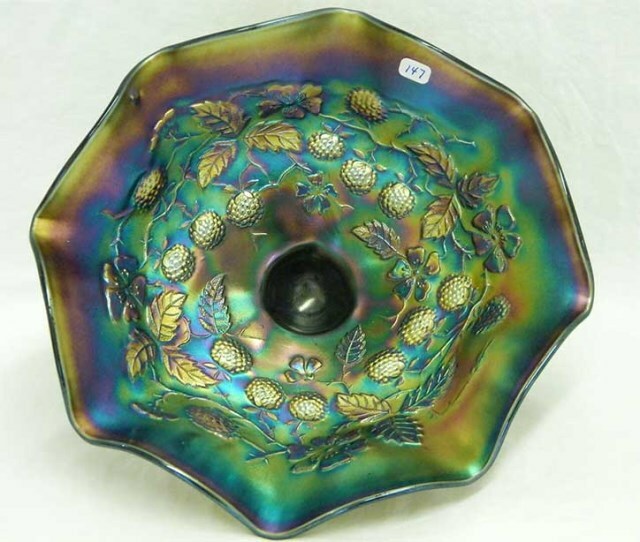 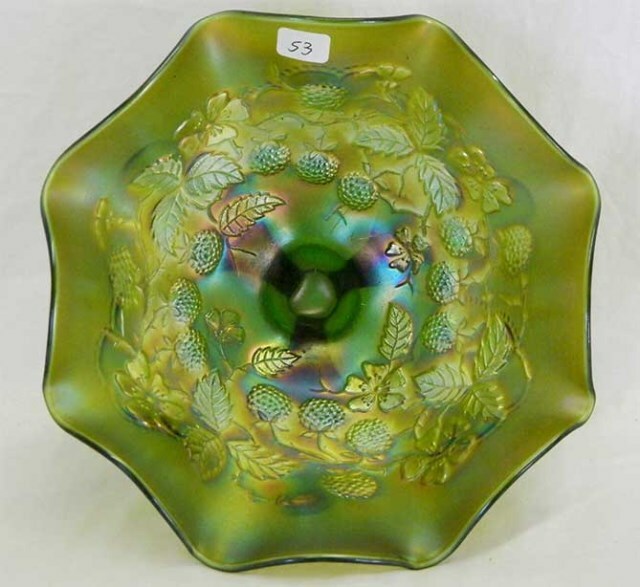 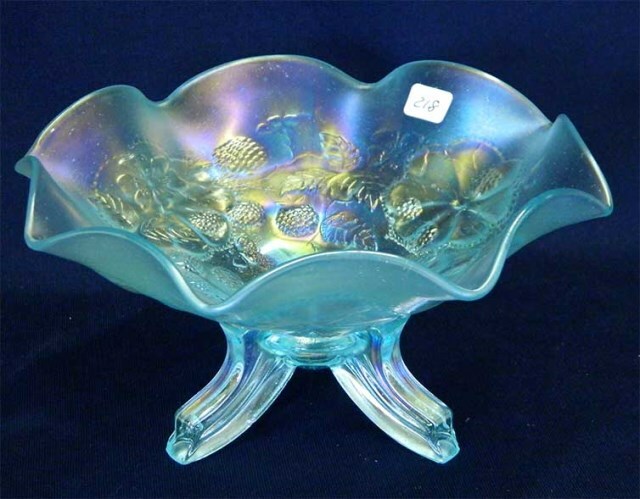 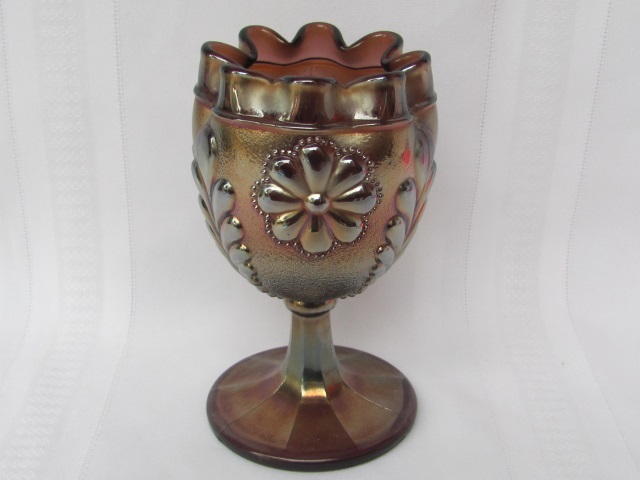 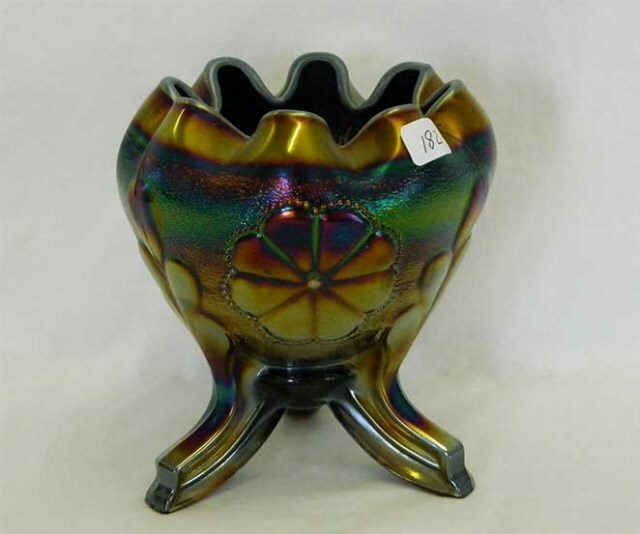 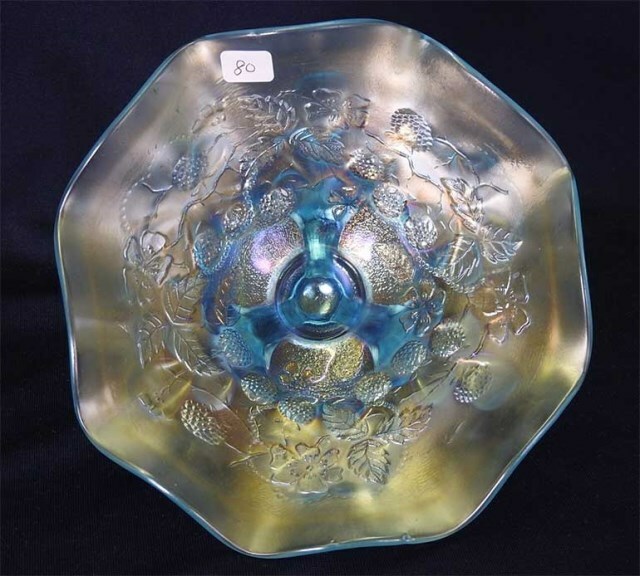 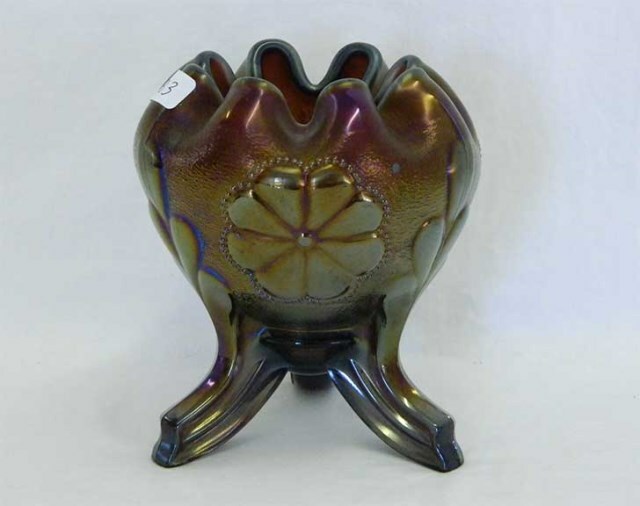 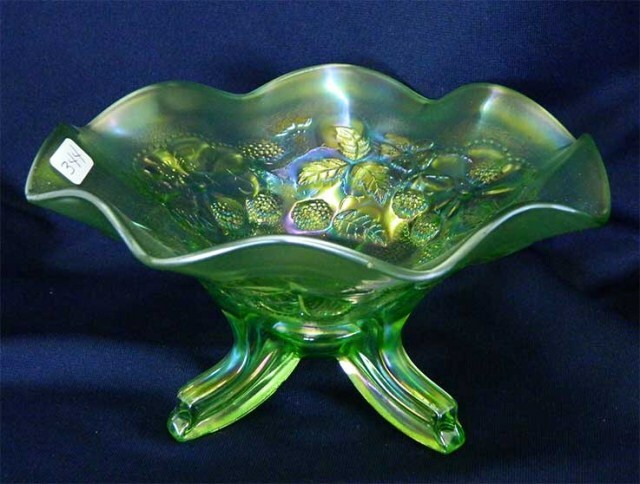 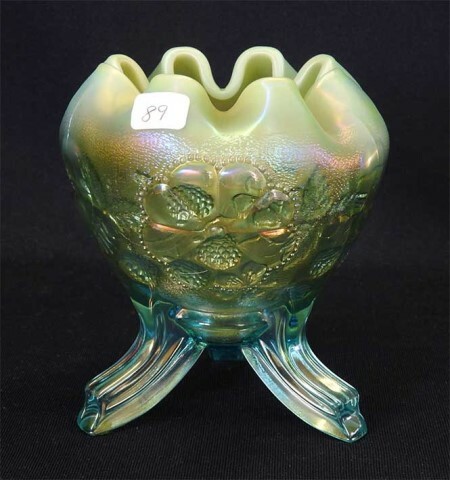 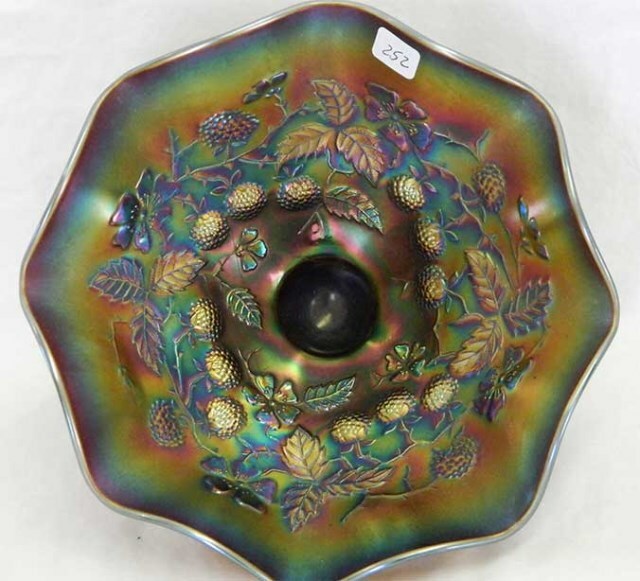 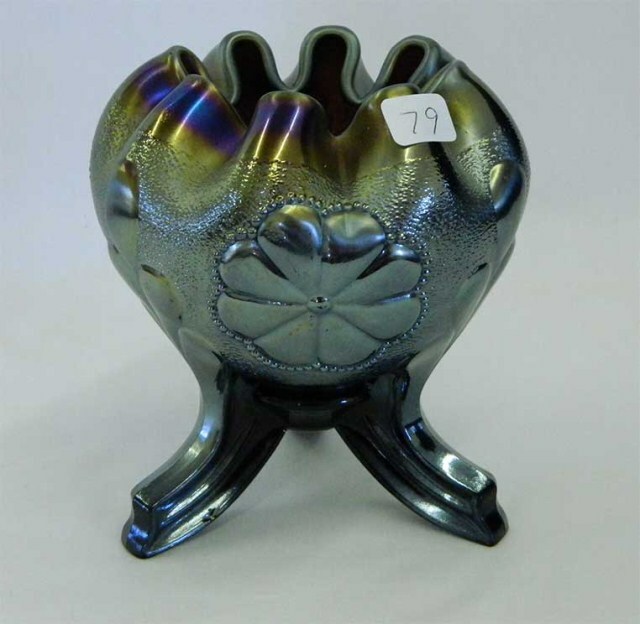 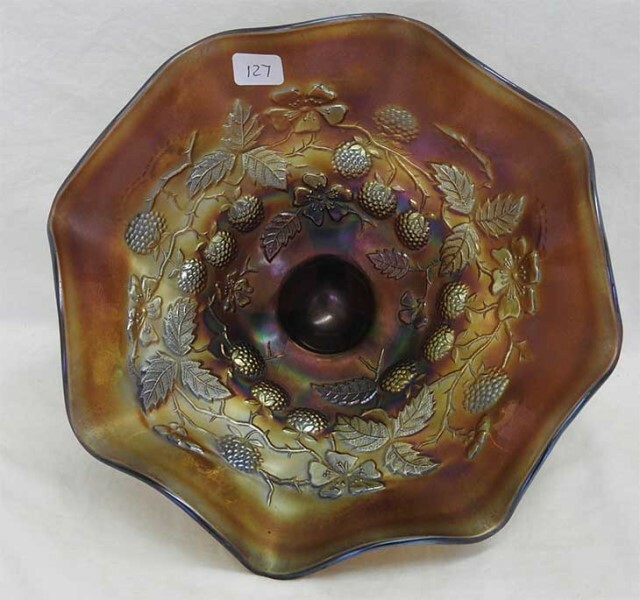 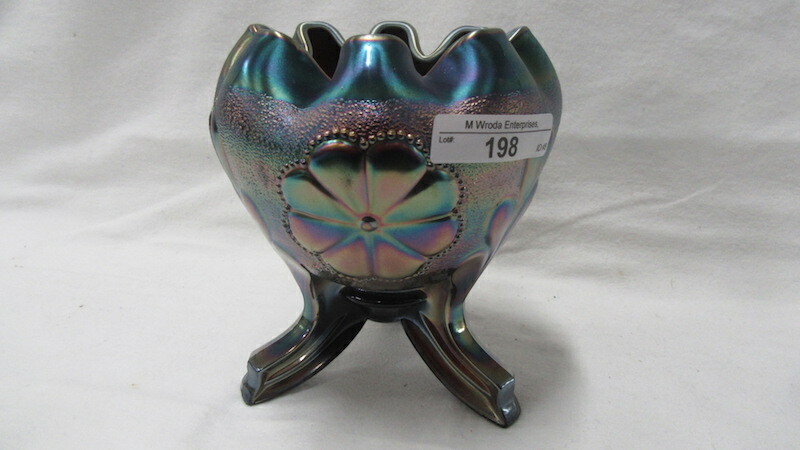 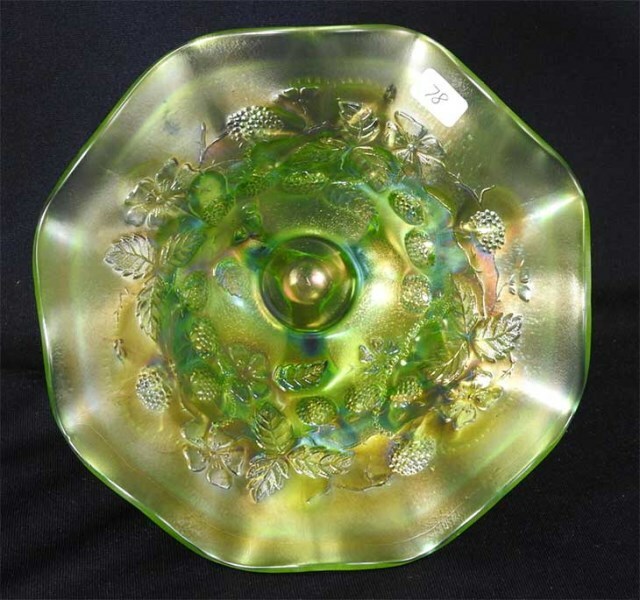 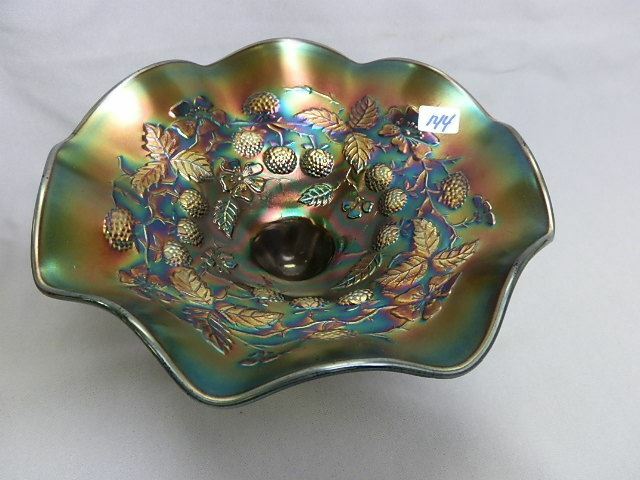 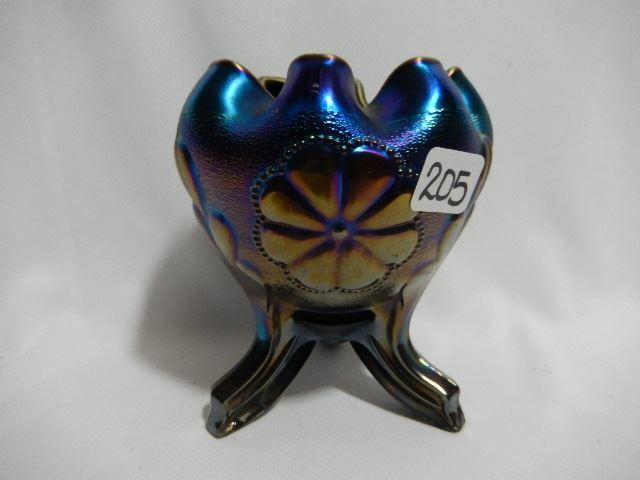 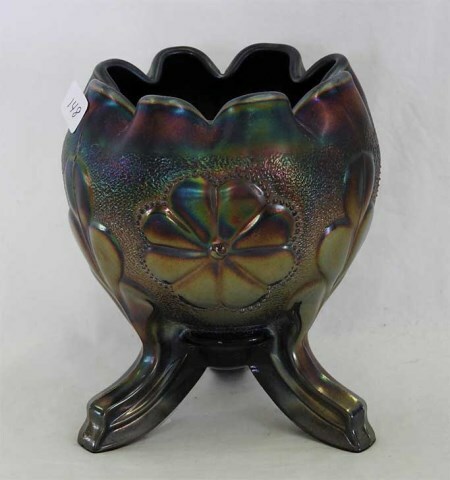 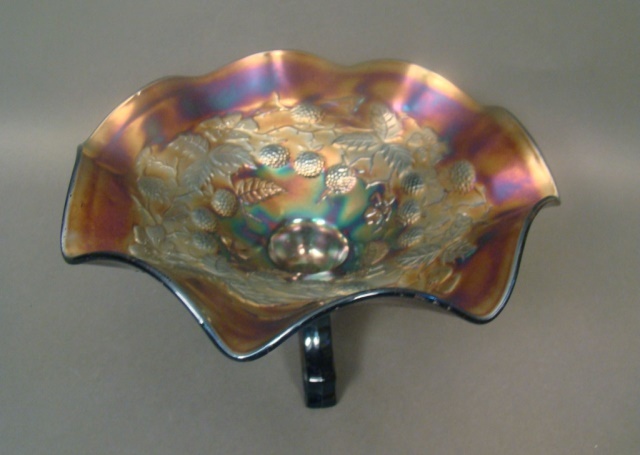 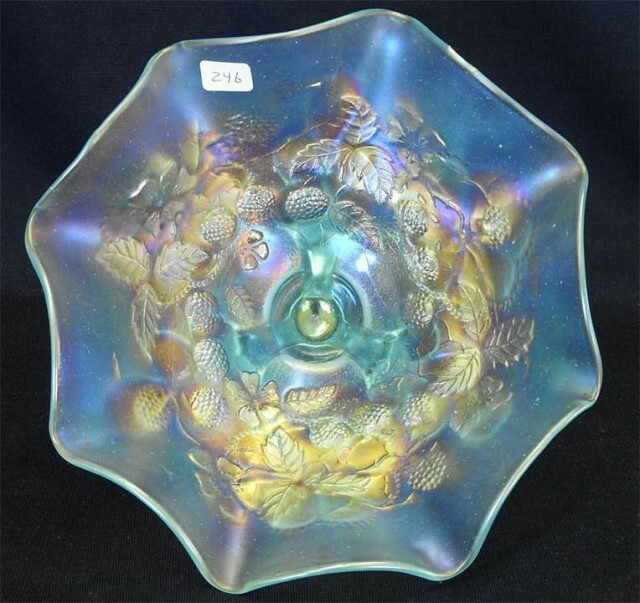 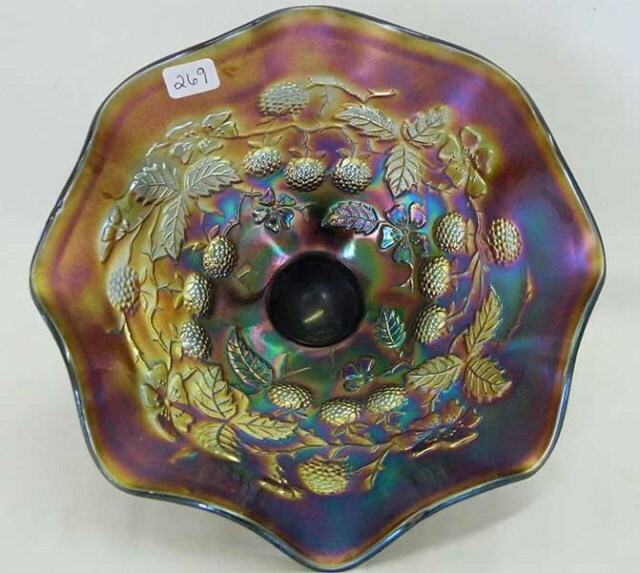 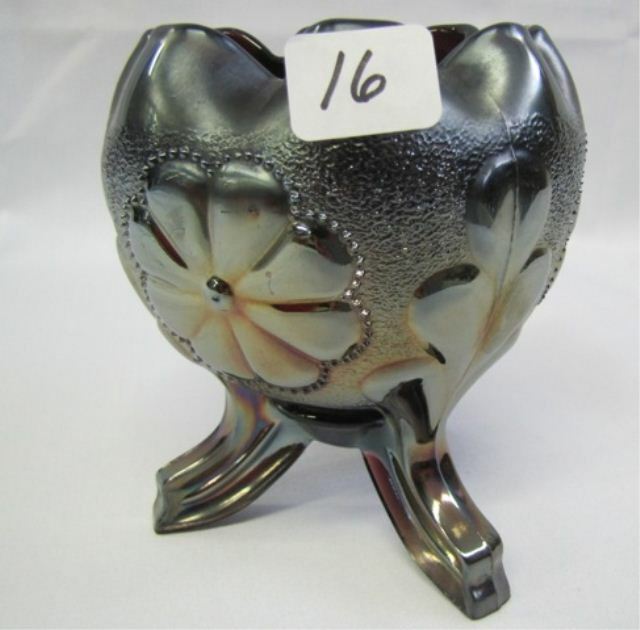 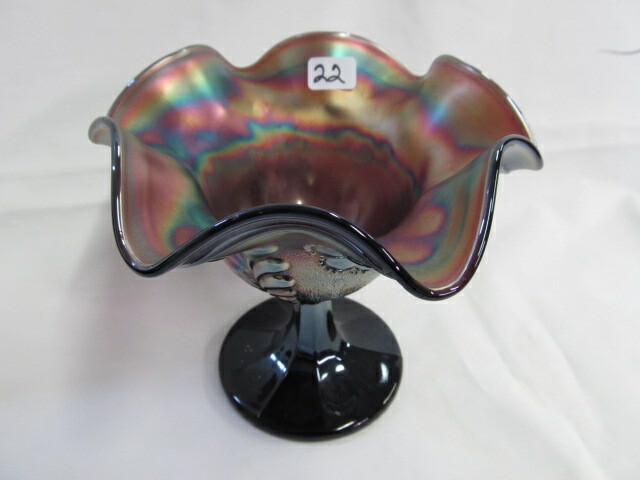 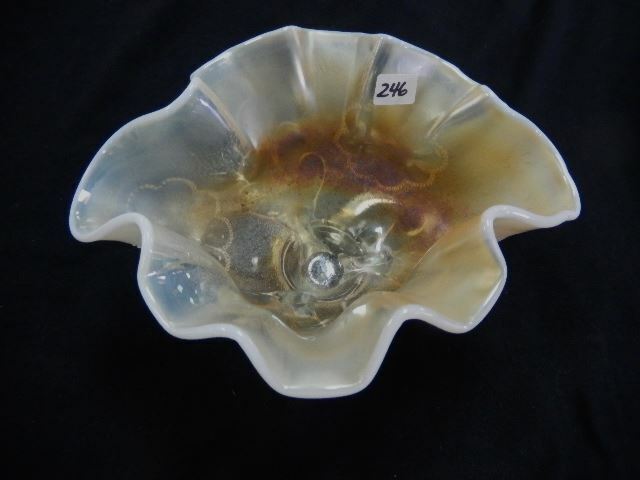 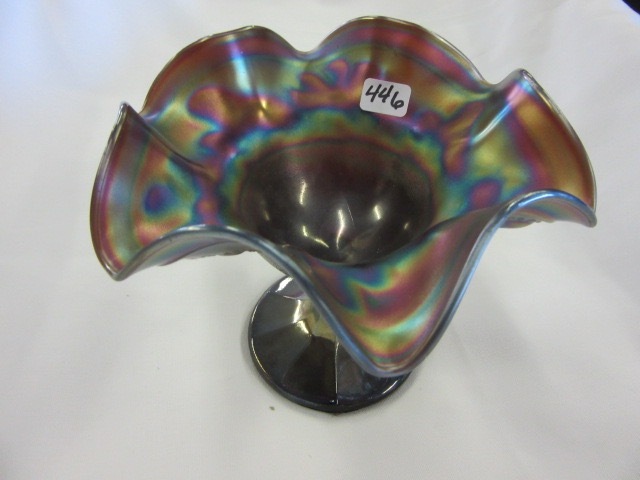 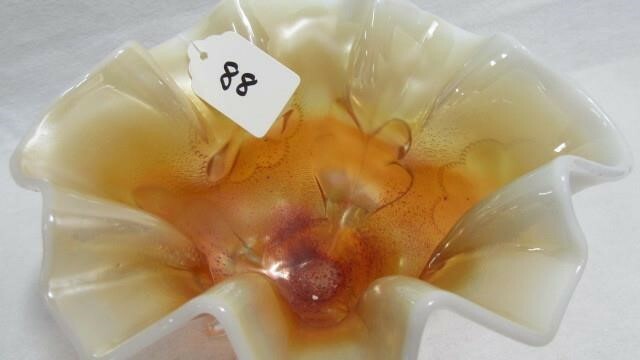 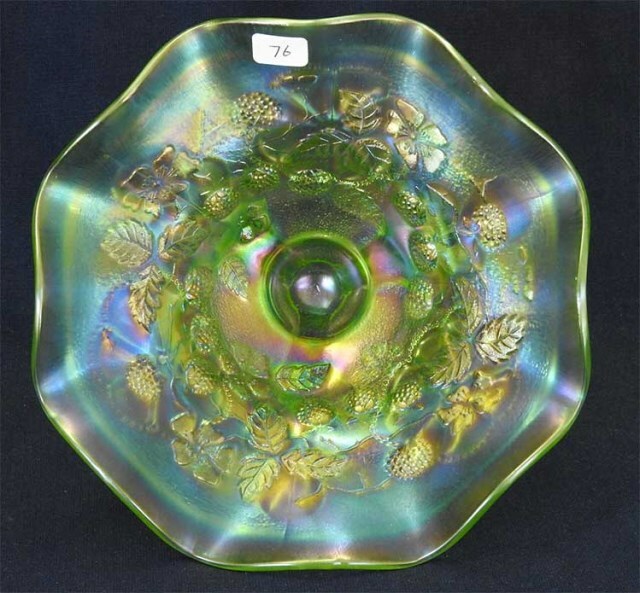 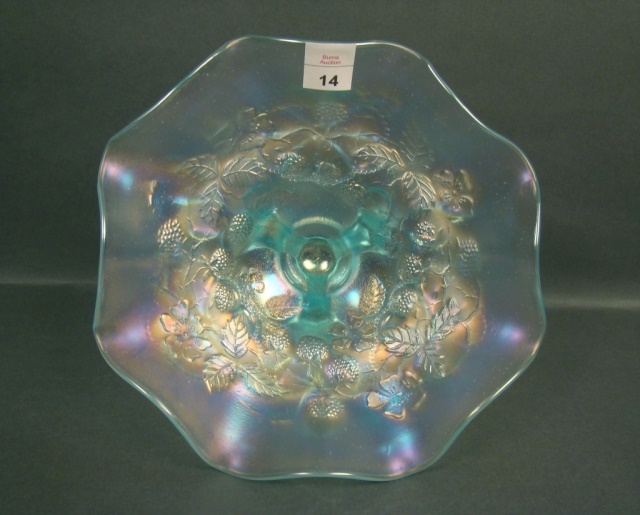 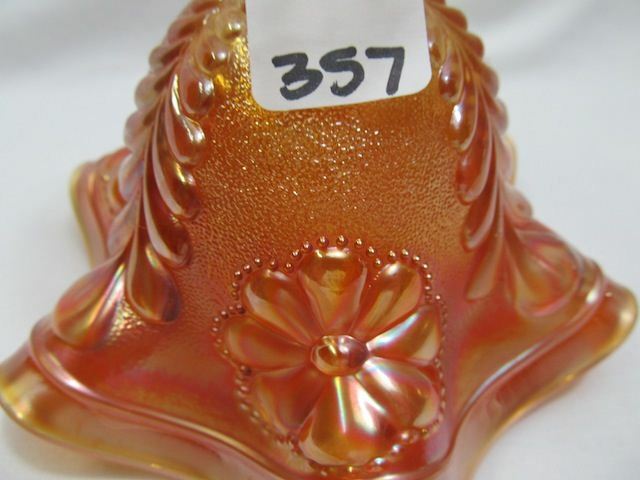 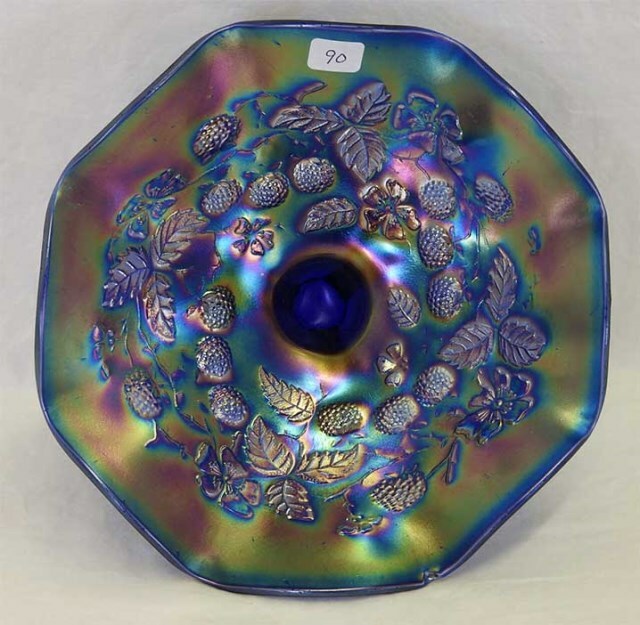 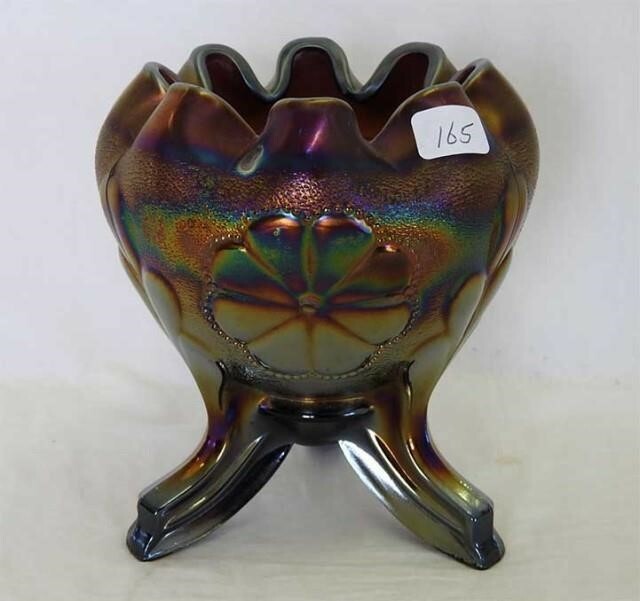 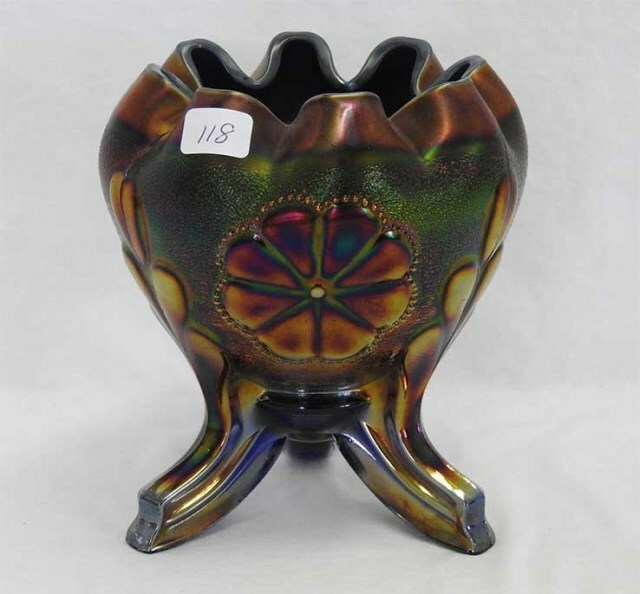 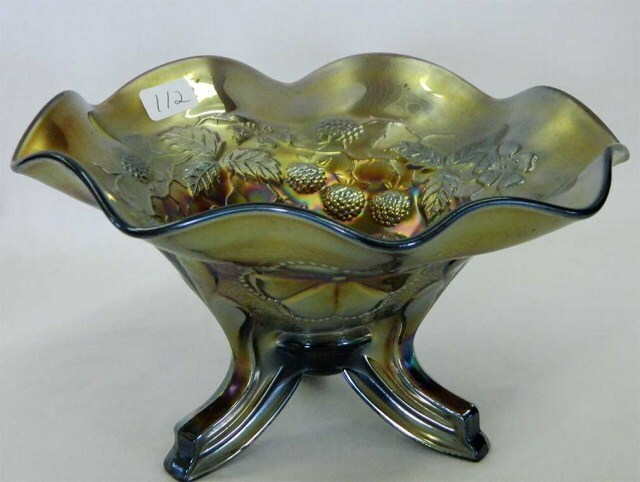 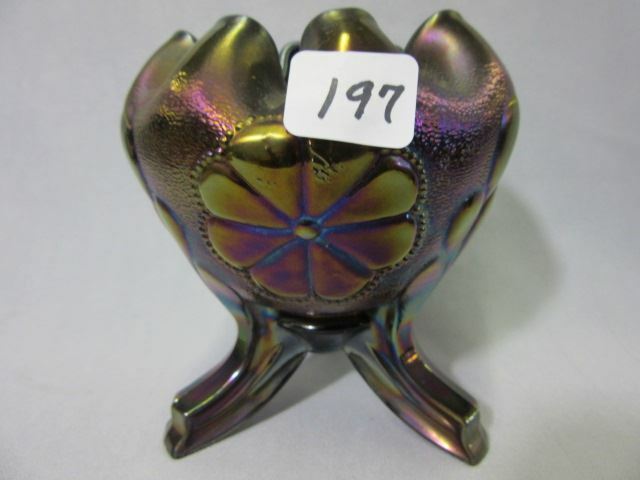 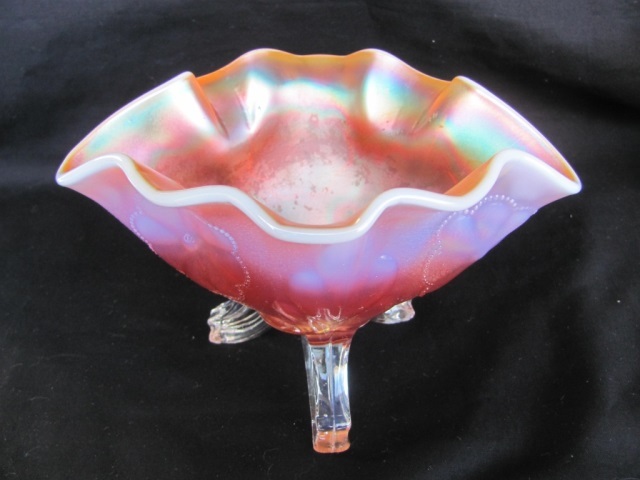 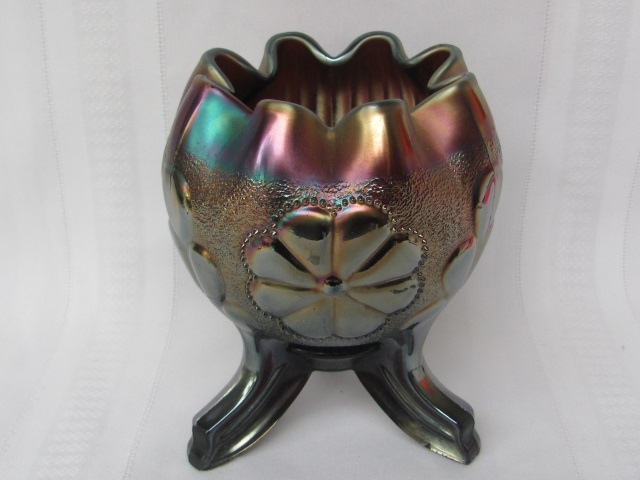 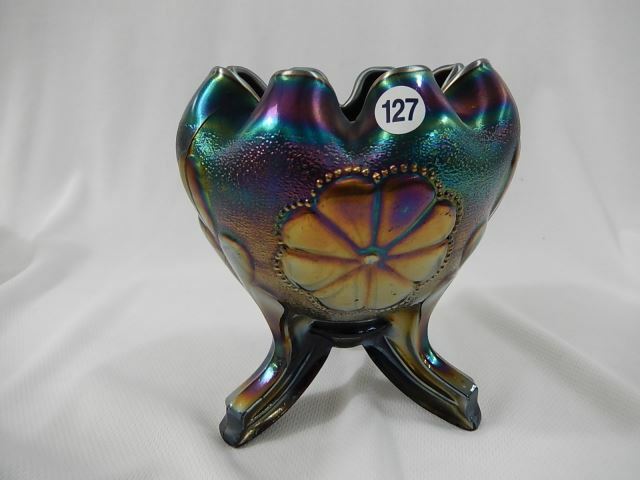 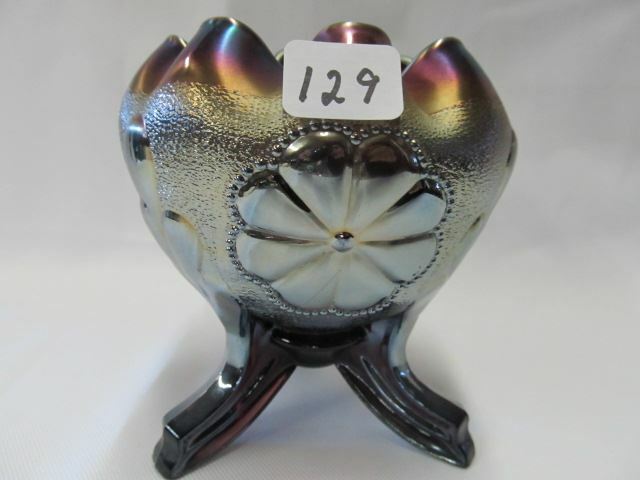 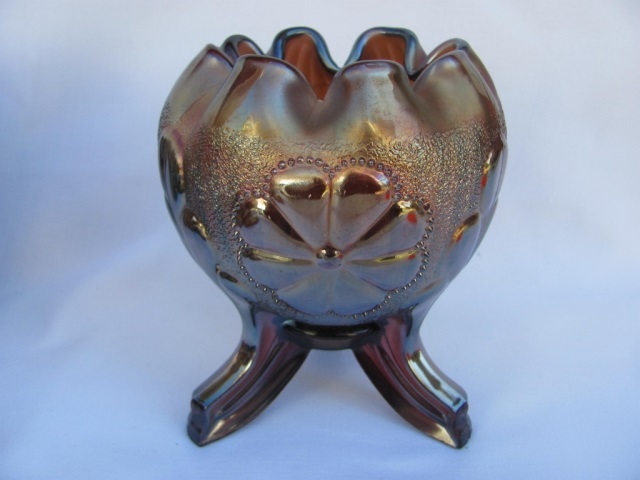 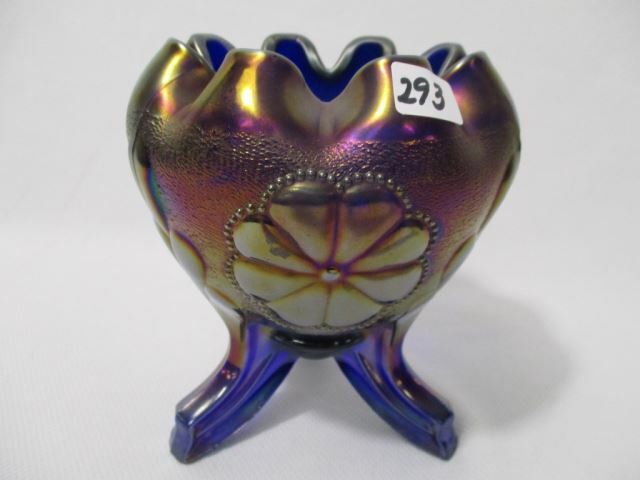 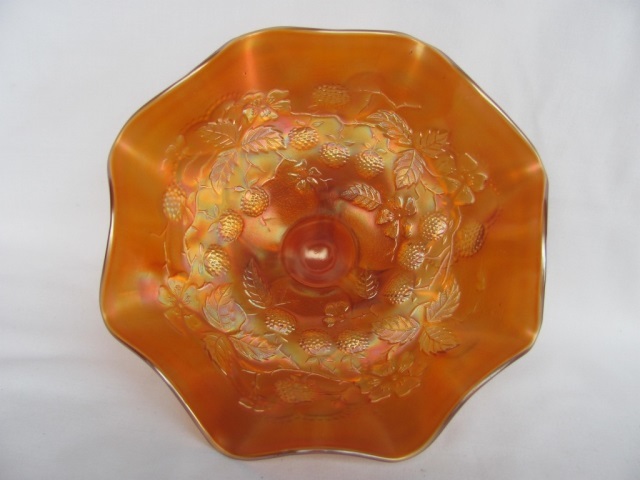 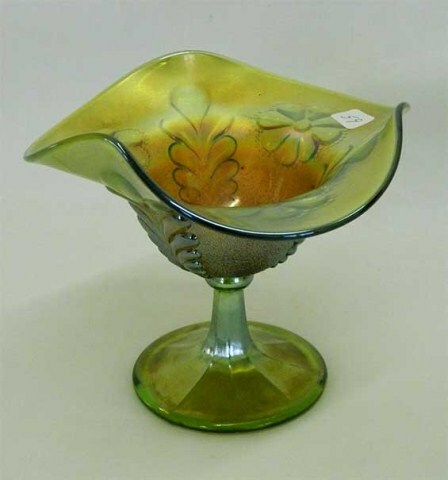 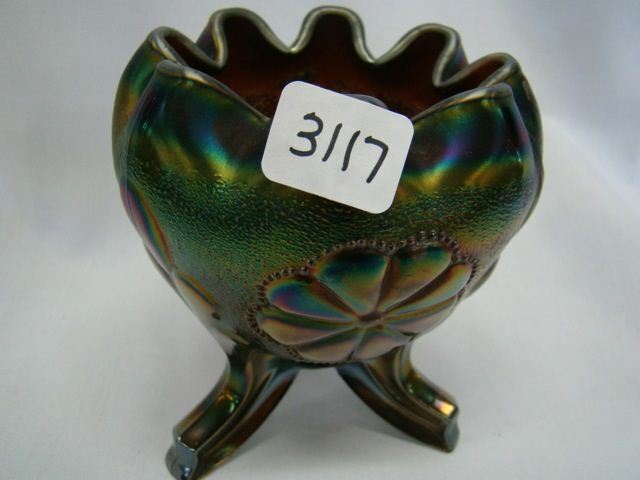 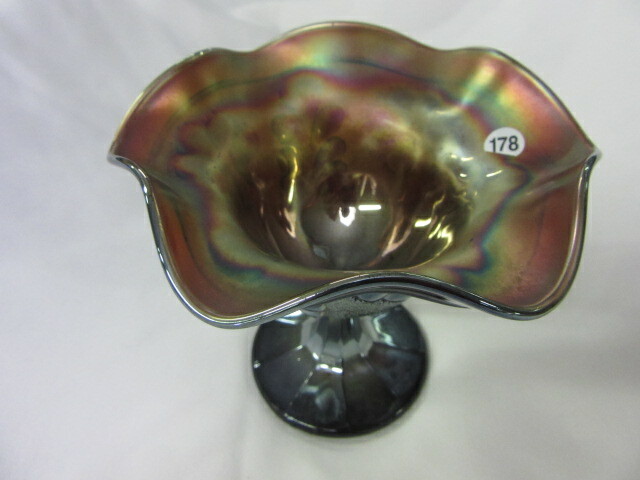 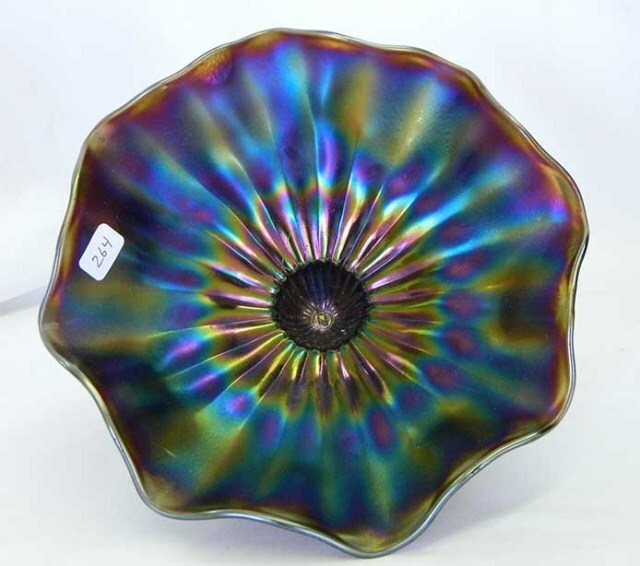 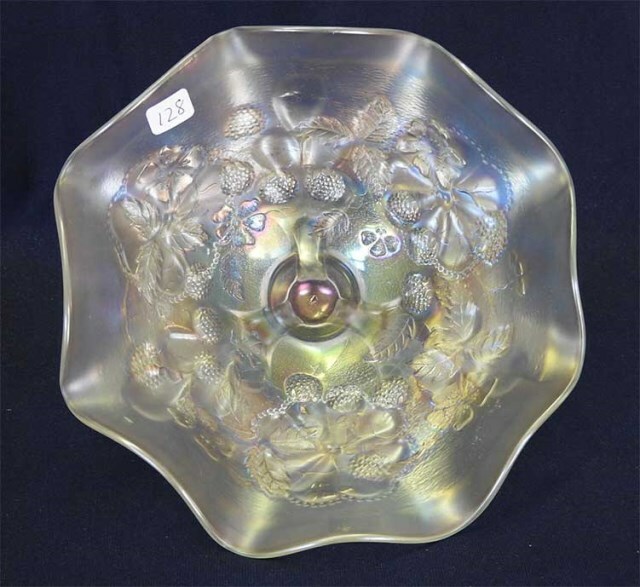 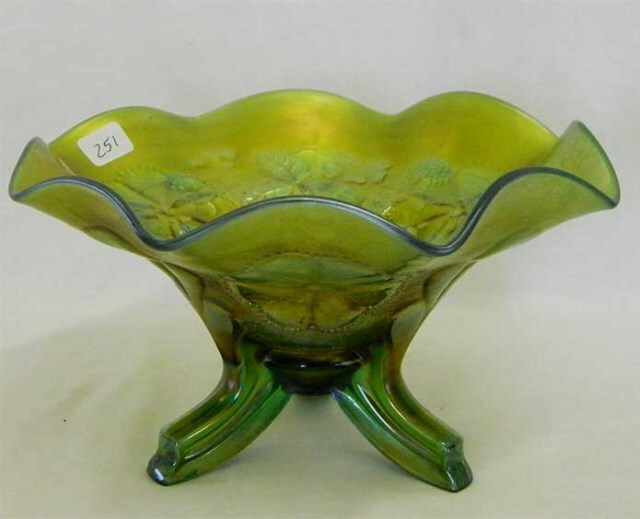 In addition, each version is cupped in to form a rosebowl or may be spread out to make what's called a candy dish in the three-footed version or a compote in the stemmed version. 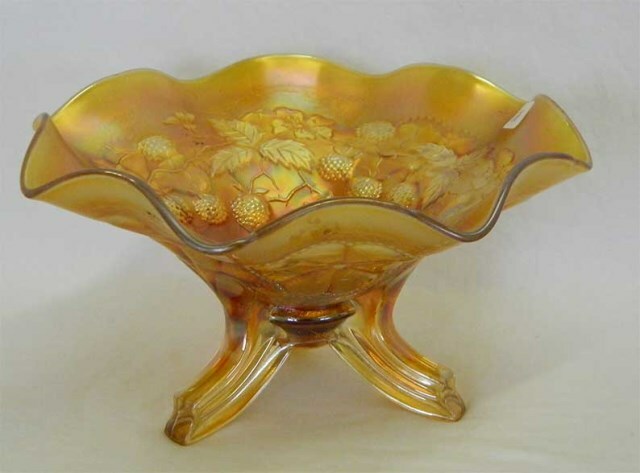 The stemmed version also has two variations; one with a plain top as shown in the amber example above or with a band as shown in the purple example. 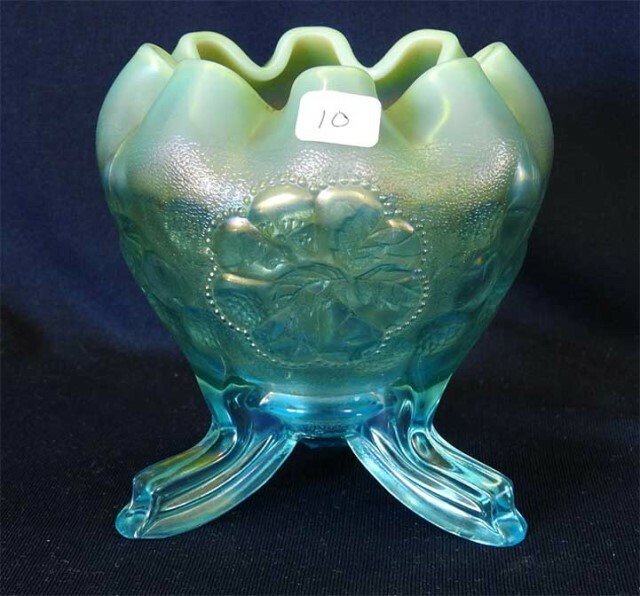 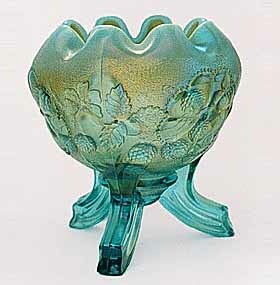 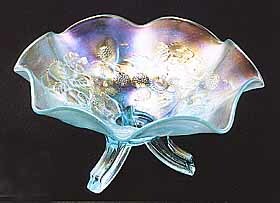 On the left is one of five known Daisy and Plume footed rosebowls in aqua opal. 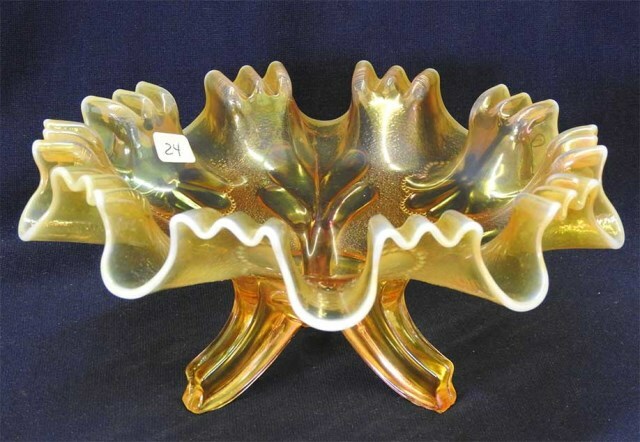 It sold for $17,000 in 1997. 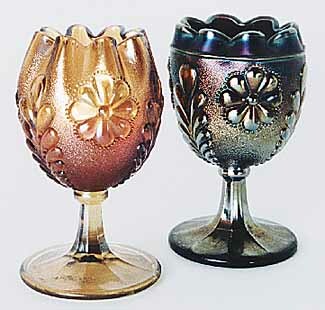 On the right is one of the Dugan versions of this pattern. 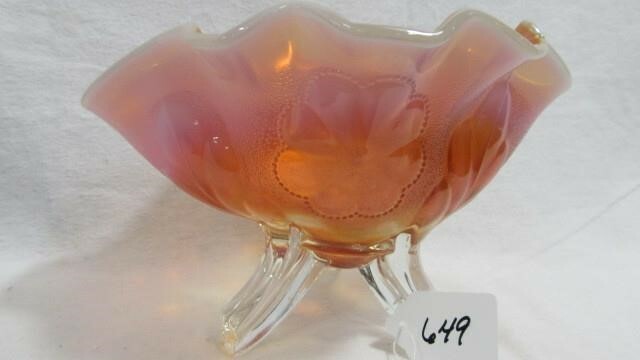 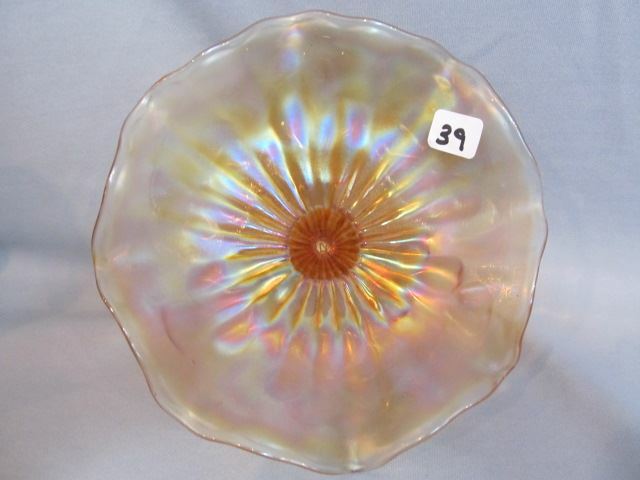 Peach opal examples will be Dugan.